Me and Mine: Challenge Week at SBCH has been a blast! 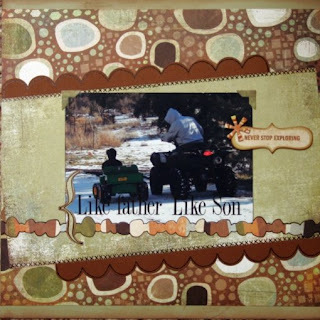 I have had so much fun creating projects for Challenge Week at Scrapbooker's Club House. Nicole did a terrific job of keeping the challenges fun and very easy to accomplish. If you get a chance, stop by and check out the gallery to see all of the wonderful projects everyone completed. This LO was for the paper only challenge. 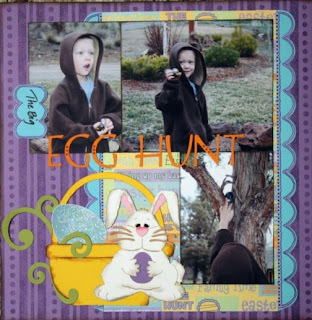 These pictures were some of my favorites of Gabe hunting easter eggs this year. 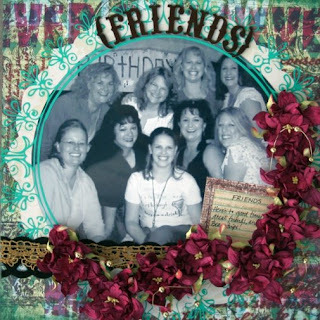 This is now truly one of my favorite layouts, not only because it's the girls, but the challenge was to use a transparency and felt on the same layout. Wow, I have never worked with transparencies before but I sure do love the way it came out. The object of this challenge was to use writing or printed words on a photo. The layout is very plain for my style but I finally got to break out the Basic Grey Archaic Line. LOVE IT! Tammy, I have really enjoyed your blog! 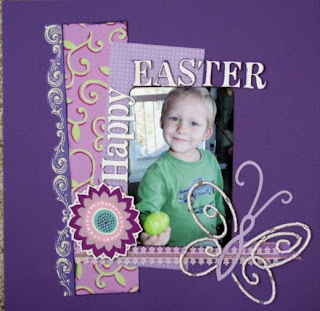 Thanks for sharing all your wonderful layouts!